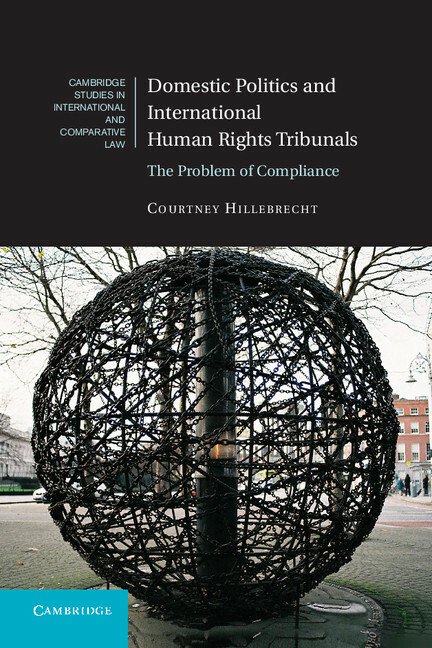 Courtney Hillebrecht, the author of Domestic Politics and International Human Rights Tribunals, discusses the increasingly complicated nature of human rights courts and human rights law in a global world. In March 2014 the European Court of Human Rights became enmeshed in the interstate dispute between Russia and Ukraine by issuing interim measures in response to a Ukrainian petition regarding the conflict in Crimea. The European Court’s involvement in the conflict in Crimea is just one example among many of regional human rights courts playing an increasingly important role in the law and politics of human rights protections. Indeed, in just the past few months, the European and Inter-American Courts of Human Rights have handed down judgments on issues as far ranging as the rights of biological parents of adoptive children (I.S. v. Germany, European Court of Human Rights), the legality of pre-trial detention (Chuprikov v. Russia, European Court of Human Rights) and due process rights (Liakat Ali Alibux v. Suriname, Inter-American Court of Human Rights), among many other issues. When these international human rights tribunals began their work in 1950 and 1978, respectively, few expected that they would come to play such an important role in furthering human rights law and policy. International human rights law has long been disparaged as futile, with Jeremy Bentham’s turn of phrase, “nonsense on stilts,” regularly trotted out to describe the endeavor. Unlike other forms of international law, such as trade or security law, international human rights law is not based on the reciprocal relationship between countries but instead seeks to govern the relationship between governments and their citizens. Yet, individual citizens find very little recourse for human rights abuse on the international stage. Alongside the broader processes of the legalization and bureaucratization of human rights, the European and Inter-American Courts of Human Rights have begun to restructure this relationship among individuals, their governments and the global governance of human rights. These Courts adjudicate on specific violations of human rights through a petitioning system that allows individuals to lodge complaints against member countries. The tribunals decide on the admissibility and merits of these complaints. When a country is found guilty of human rights abuse, the Courts—or in the case of the European system, the Committee of Ministers of the Council of Europe—asks states to pay financial reparations to victims, apologize for wrongs done, commemorate the lives of victims, hold perpetrators of abuse accountable and change their human rights policies and practices to prevent the repetition of abuse. While these tribunals are far from perfect, the very idea behind them—the notion that an individual can functionally “sue” his or her government at an international court and that such proceedings can result in a change in that country’s human rights policies and practices—is revolutionary. In practice, however, the degree to which the European and Inter-American Courts of Human Rights can affect countries’ domestic human rights policies and practices hinges on countries’ compliance with the tribunals’ rulings, particularly with those measures intended to prevent repeat violations. To understand compliance, we need to understand two main factors: the domestic institutions that can facilitate compliance and domestic political actors’ incentives to comply with the tribunals’ rulings. Compliance is a domestic affair and it is almost always a politically wrought and contentious process. Because of the wide range of reparations the tribunals ask of countries, no one domestic institution can fulfill a country’s compliance obligations. Instead, compliance requires a coalition of actors, often comprised of executives, legislators, judges and civil society actors, that work together to overturn legislation, enact new policies and rethink constitutional law. Each institution and actor has its own incentives for compliance and while such impetuses are manifold, three really stand out. First, for some governments, compliance represents an opportunity to advance a domestic policy initiative. In Argentina, for example, the Kirchner administrations leveraged compliance with the Inter-American Court of Human Rights’ rulings on anti-impunity measures to overhaul their domestic policies and laws on the amnesties and pardons of former junta leaders. A second incentive that governments have to comply with the tribunals’ rulings is to use compliance as a way to signal their commitment to human rights. The Uribe administration in Colombia, for instance, regularly complied—albeit partially—with the Inter-American Court of Human Rights’ rulings as evidence of its commitment to human rights. Russia, too, regularly complies with parts of the European Court of Human Rights’ rulings in order to demonstrate its alleged dedication to human rights. Observers in Colombia and Russia, as well as at the Courts in Strasbourg and San José, are skeptical about the verity of these signals but they tend to welcome any and all advances in the realm of human rights. Finally, some countries comply with the regional human rights tribunals because of long-standing commitments to human rights and the rule of law. The United Kingdom, for example, has complied with the European Court of Human Rights’ jurisprudence on a number of security-related concerns despite harsh domestic dissent. Politicians repeatedly claimed that their hands were tied by a long-standing obligation not just to the European Court of Human Rights but also to the basic principles of the rule of law and human rights more broadly. What does this all mean for the protection of human rights? First, it seems clear that human rights law is more than simply “nonsense on stilts.” These regional human rights tribunals are part of a significant reconfiguration of the governance of human rights and we would be remiss to dismiss them as little more than paper tigers. At the same time, scholars, activists and policymakers must also be mindful not to put these tribunals on too high of a pedestal. If anything, these tribunals make it very clear that while international human rights law is, in fact, law, the processes of implementing and complying with these laws is inherently and inextricably political. When we think about how far international human rights laws has come over the past 75 years and the important role that the European and Inter-American Courts of Human Rights have played in this development, it is important to recognize that the key to improving human rights is in domestic political processes—the institutions and the incentives that political actors have to use and usurp international human rights law. It has been by tapping into these political dynamics that the European and Inter-American Courts of Human Rights have affected countries’ human rights policies and practices as well as the larger landscape of international human rights law. Looking forward, it is incumbent upon the European and the Inter-American Courts of Human Rights, as well as their supporters, to hone their jurisprudence as well as their political savvy.